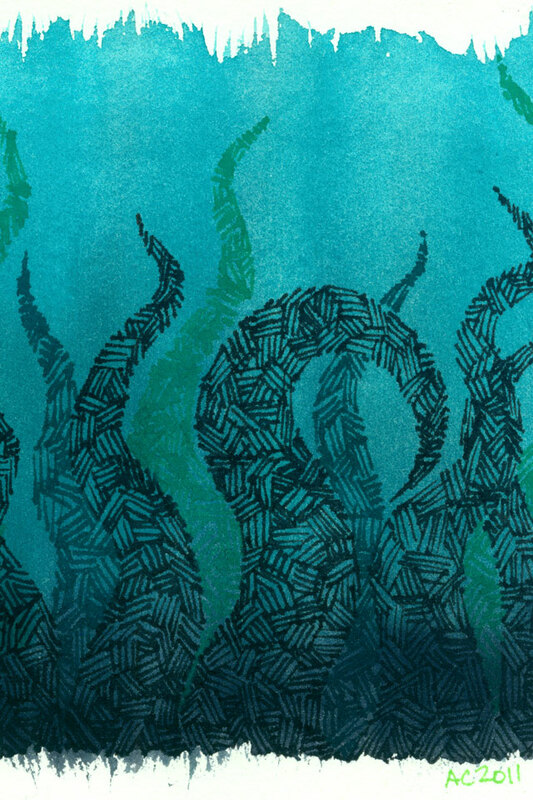 It’s Tuesday, and that means tentacles! Well, at least here it does. 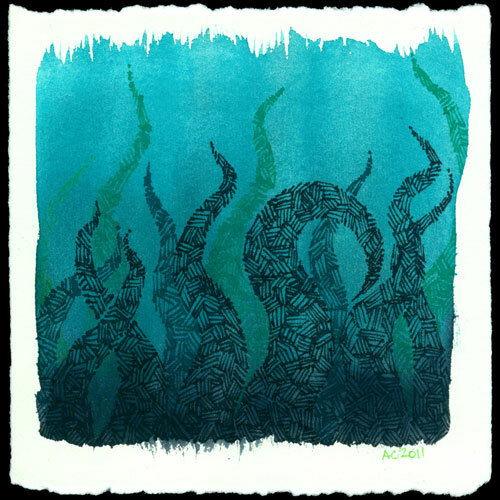 I used four different colors of pen to ink in these tentacles, giving a depth of field that’s harder to do with the crosshatching texture alone. 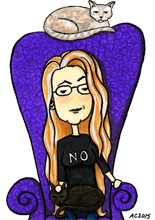 The fourth, palest green only shows up in the signature and as a tiny tip of tentacle peeking out along the left side. I put them down in reverse order, first the black tentacles, then the dark green, and then the lighter, more blurry green, and finally the tiny bit of bright, pale chartreuse. 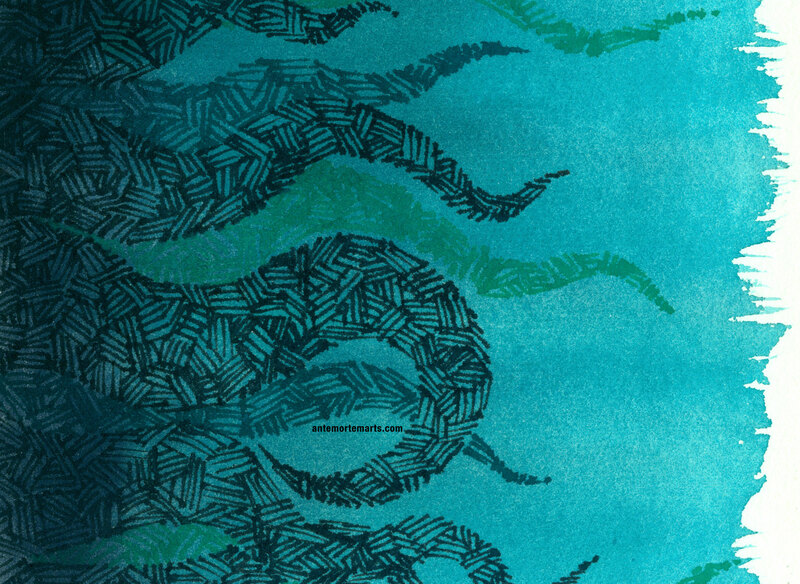 I’ve been experimenting with other textural shading in other pieces, but for some reason I just really prefer this simple crosshatching when making tentacles. I’ve got at least two more backgrounds waiting to be be-tentacled, however, so perhaps I’ll try something else next time. 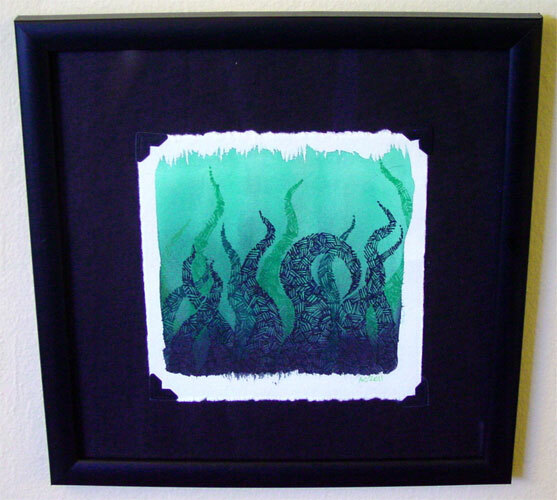 Tentacle Deeps 8, 5″x5″ pen and ink and watercolor on watercolor paper. I was feeling self-indulgent, so I made a computer wallpaper and iPhone wallpaper of this one. I’ve got it up on my monitor right now!